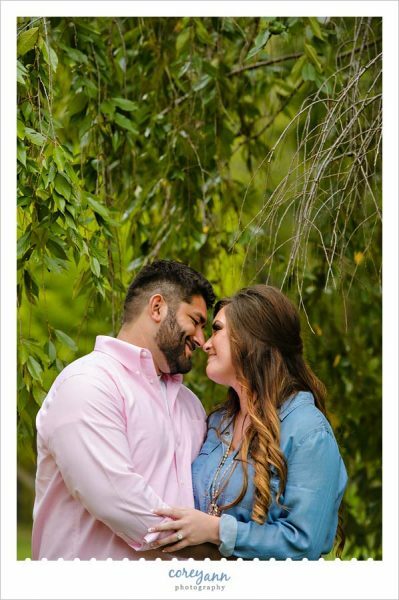 The summer of 2016 was crazy between the insane heat and rainstorms so a lot of my engagement sessions that were on the books opted to move back into the fall when the temperatures were a bit more moderate and the rain wasn’t quite so frequent. 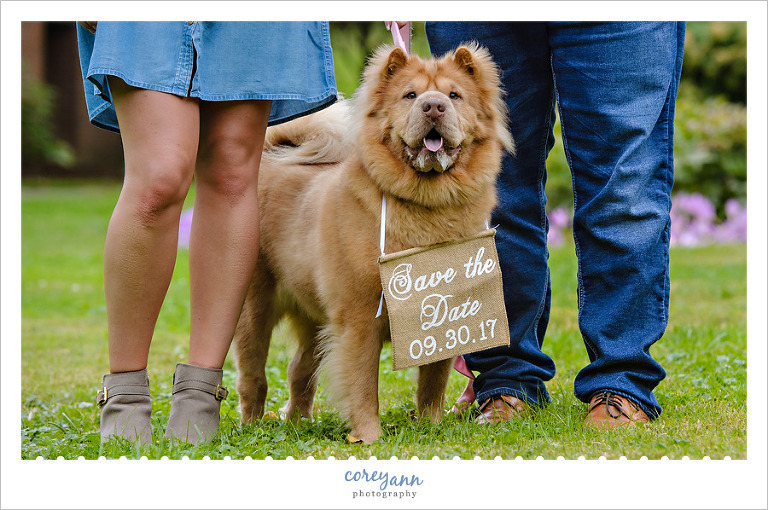 Unfortunately we did get hit with a bit of rain at the end of Angela and Frank’s Canton Garden Center engagement session. They made it work with an umbrella and it was perfect.! 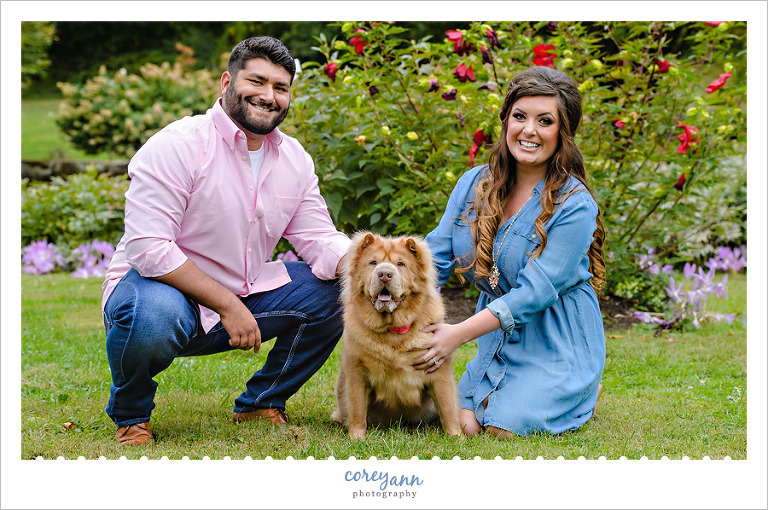 Of course, my favorite part about this session was their ADORABLE dog being included. I always smile when people ask if it’s OK if they bring their dog because I always reply and say NO NO NO PLEASE BRING!!! Due to our crazy schedules we do not have a dog but I adore them so I get really excited when I get to see a new one. 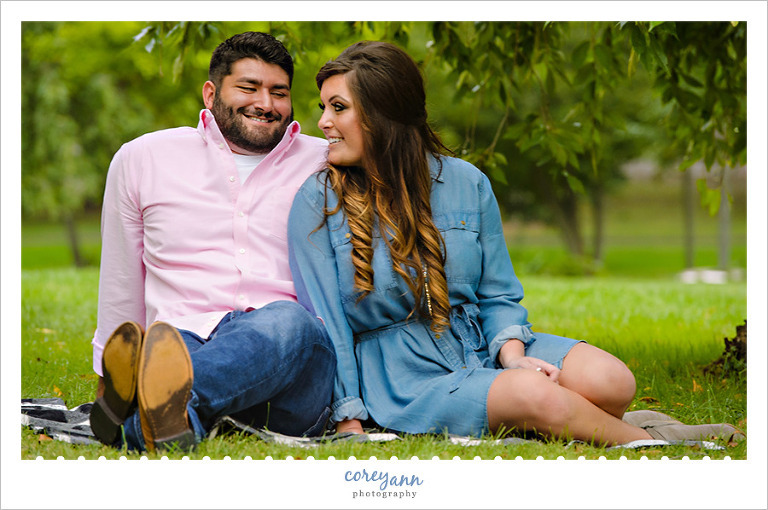 You’ll be seeing this sweet couple again in September and I’m SO excited to work with them again! Very nice! So fresh and relaxing.